One of the antennas (top, left), involved in the Facebook wireless project in Arusha, Tanzania. Facebook has used software developed in its Cambridge office to boost Internet connectivity globally. Facebook has been working assiduously to solve a vexing problem: How to extend Internet access to areas of the world where connections are unreliable or nonexistent? The tech giant, eager to boost the number of global users for its services, has been studying extreme steps such as using lasers to beam signals to the earth from unmanned drones. Now, a group of engineers from Facebook’s Cambridge office say they have successfully adapted a wireless technology that you might use in your home to serve users on a larger scale. The company said it had helped build a Wi-Fi network big enough to serve about 2,600 people in Arusha, a northeastern city in Tanzania, with a system of Wi-Fi antennae designed to cheaply provide access to parts of the central business district. Access to Facebook and a limited number of company-approved sites is free. Facebook’s efforts to expand Internet connectivity are a significant focus of the company’s Kendall Square office, which now has more than 100 people and is looking to grow quickly. The company is relocating soon from One Broadway to a Binney Street office with space for 650. 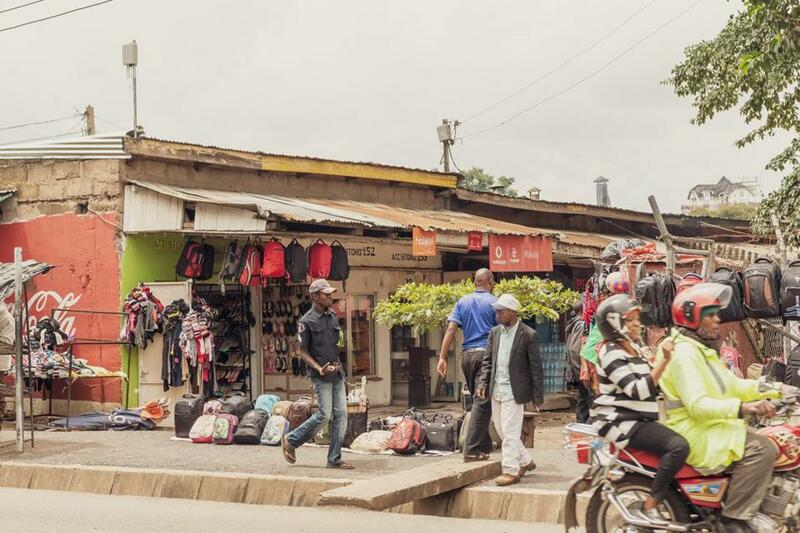 In the recent project, the company said it worked with the Tanzanian service provider Habari Node to build a “mesh network” that enabled more than 50 antennae to transmit Wi-Fi signals, even though only a few of them had direct connections to the Internet. Using software developed in the Boston office, Facebook said it was able to draw on those more expensive direct links to extend Internet access to users within range of cheaper devices that did not have their own dedicated Internet connections. Similar networks are commonly used in the United States to boost signals in hard-to-reach parts of individual homes, but building a large system was more difficult because of the scale of outdoor connections that are subject to weather and the potential for power failures. Facebook said it will look at ways to use the software to increase Internet connections elsewhere, as it seeks to reduce the close to half of the global population that still lacks access. The company is testing a similar program in Nairobi. In Tanzania, where the United Nations estimates that 13 percent of people use the Internet, many who do have access get online through mobile data packages on their smartphones. Wi-Fi offers a cheaper way to connect, according to Jane Langoi, a project manager for Habari Node. The company had previously tried a similar effort, she said in a phone interview fromTanzania, but could not make the economics work. Now, a user can buy 4 gigabytes of data to use on the network over a month for about $1.75. On mobile networks, she said, that data would cost closer to $13. Users can also use the network at no cost if they are surfing Facebook’s Free Basics program, a central component of the social networking company’s plan to expand access. Free Basics includes sites owned by Facebook, including Instagram, along with some public service content, but the program has faced some criticism because it does not allow access to services not sanctioned by the company. Langoi said about 2,600 people use the Wi-Fi service every month, and approximately 300 are paying for access beyond Free Basics on a given day.